It’s Nurses Week which is capped every year by Florence Nightingale’s Birthday, May 12. 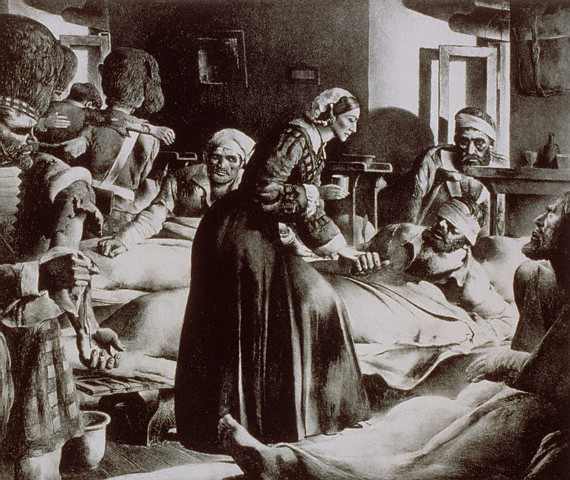 Florence Nightingale (May 12, 1820 – August 13, 1910) is considered the founder of modern nursing and her influence on the profession has been profound and I won’t do her an injustice by trying to cover high lights in this blog. Just know this, The Nightingale Pledge is taken by nurses entering the profession to this day. I have the distinct honor of working with nurses every day of the year and I can attest that nurses are some of the greatest people I know. My mother was a nurse so my connection to nurses started the day I was born and extends beyond the interaction I have “on the job”. Health care is a complex operation and for it to work correctly different pieces and parts must gel. There are times that specific health care professions are in short supply or out of favor and the system has found a work around so that the patient will continue to receive great care. The one piece of our health care system that has no work around is nursing. Nursing is the cog that keeps the rest of the wheel turning. When my mother passed away the Nightingale Tribute was a part of her funeral service, all nurses in attendance were provided a white rose and asked to stand as the tribute was read aloud. I had never heard of the Nightingale Tribute before that day but it stuck with me and I revisit it each year during Nurses Week. The Nightingale Tribute was designed and developed by the Kansas State Nurses Association in 2003 to be used to honor deceased nurses. While the tribute is designed to honor deceased nurses it is also a fitting tribute to the profession of nursing. Nursing is giving of one’s self to enhance the lives of others. We join together today to honor (insert name) and his/her lifetime commitment to caring. We acknowledge (insert name) many years as a nurse and know that his/her accomplishments can only be measured in the lives he/she affected through dedication and perseverance.